Finding a skilled and compassionate caregiver for an aging parent may seem like a daunting task. However, breaking this big assignment down into smaller ones can make the search much easier. Does your parent need looking after round the clock or only a few hours a day? How often do you need a caregiver? What specific tasks does your parent need help with? What duties do you expect a caregiver to perform? Does your parent have special conditions, like incontinence and dementia, that require specialized care? Does she require the use of any medical appliance, like an oxygen concentrator or enteral feeding pump, for example? What qualities are you looking for in someone who will be part of your parent’s household? What do you think can contribute to making your parent’s living situation safe and happy? Are you looking for someone with sense of humor and exceptional patience, or do you want someone who’s a stickler for rules? Similarly, you need to determine what your parent’s behavior will be like with a caregiver. Does your parent like being left alone? What are his pet peeves? Does he dislike smoking or any hint of cigarette smell? Now that you’re ready to scout for a caregiver, write a straight-forward job description so both you and the potential employee are on the same page. Include the required level of health care training (RN, CNA, LVN), years of experience, and whether you need someone who knows how to drive or operate specific home care equipment. Determine if your parent needs in-home care or home health care services. If your parent needs round-the-clock assistance or is suffering from illness or disability, then home health care services may be more suitable. On the other hand, if your family member needs assistance with daily activities such as household chores and personal care or is simply in want of companionship, then in-home care is more appropriate. Pros: The home care agency will take care of screening, hiring, paying the salary, and deducting the taxes of the caregiver, eliminating the stress that comes with finding a good employee. If the caregiver calls in sick to work, the agency can provide a substitute. 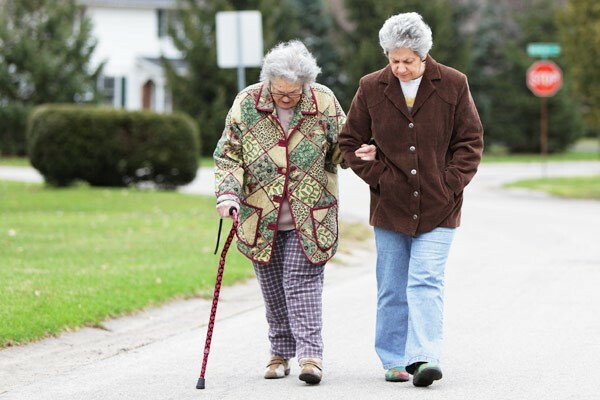 The agency can also do the initial assessment of your parent’s needs and deploy a caregiver that will answer to an individual’s unique condition. They will also have access to different types of caregivers depending on what your parent requires — a nurse, physical therapist, and occupational therapist, just to name a few. This type of care may also be covered by your parent’s Medicaid or private insurance. Cons: Generally more expensive than hiring a private practitioner. You have fewer options regarding the type of caregiver deployed to your parent’s home. You will not have much input in the selection of the staff. Also, it might be confusing for your parent if caregivers change or alternate frequently. Also, some of the services your parent requires may not be covered by Medicaid, such as homemaker services and personal care assistance. Pros: Typically less expensive than hiring from a home care agency. You have full control over choosing the ideal candidate to take care of your parent. There is usually a stronger relationship between the worker and the parent, as there is continuity in receiving aid from a single caregiver. Some state Medicaid programs allow hiring a private care provider. Cons: There is no substitute readily available if, for any reason, your caregiver cannot make it. You will have to shoulder and prepare all taxes and payments. You are also responsible if any work-related injury happens to the employee. You might need to spend time training or supervising the caregiver, especially if he needs to use medical equipment that he is not familiar with. This type of home care is usually not covered by Medicaid or private insurance. Make sure to do a background check and monitor the services your caregiver provides for your parent. If you find a skilled, loving, and dedicated care provider, you help have ensure your loved one’s comfort and security in his twilight years.